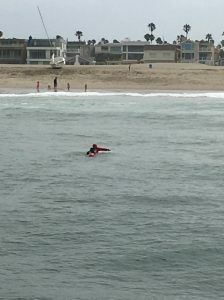 After a sailboat ran aground near Channel Islands Harbor, TowBoatUS Ventura was contacted to respond to this incident. 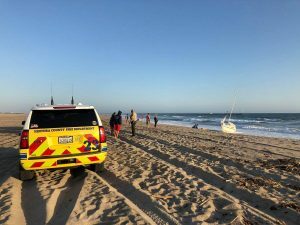 Due to the surf condition and being near sunset, the decision was made to use our 4 wheel drive F-250 truck to make access to the beach and safely pull the sailboat out of the surf where the tides could not get to it. 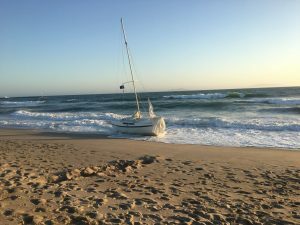 The next day, captains were able to retrieve the vessel and pull it off the beach through the water. Previous post: With a BoatUS membership, you will receive towing you can trust!